This compact custom made short skate deck brings the know-how and green construction of Buddybuddy to an unusual size for them. It's trimmed and shorter for easily travel and urban maneuvering. The W shape will make sure you feet don't tire on long rides. 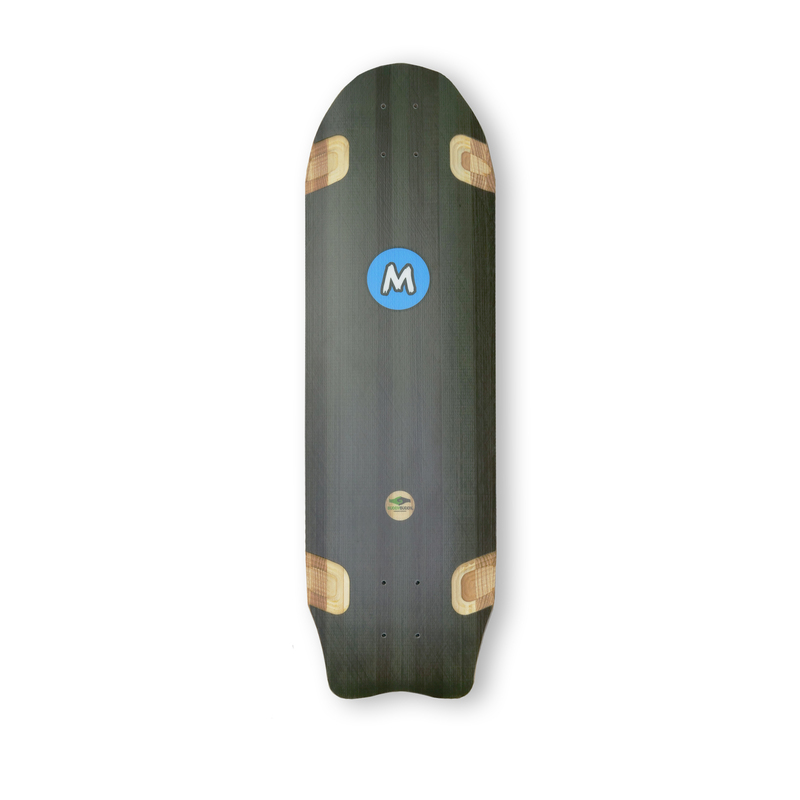 It's the perfect ride for that Endless Rider that doesn't want to stray too far from his skateboard roots.